LOUISVILLE, Ky. — November 20, 2012 — (NYSE:GE)— GE’s Louisville, Ky. washing machine factory that has been spinning out topload washers since 1953 has added another cycle to its production— “overdrive.” The factory that now employs 928 will keep producing current models at a rapid pace, and has started production of the most energy-efficient, feature-rich, topload washing machine in its history, which added another 150 new U.S. jobs in the process. 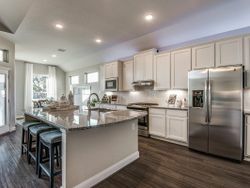 The popularity of high-efficiency (HE) washing machines that drove the growth of frontload washing machines for the last 10 years has spread to topload configurations, which is now the fastest-growing segment of the washing-machine industry. 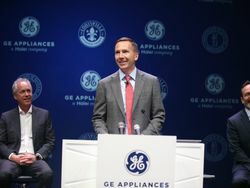 This makes GE’s investment in new HE topload washing machines a smart business move and welcome news to the local community. 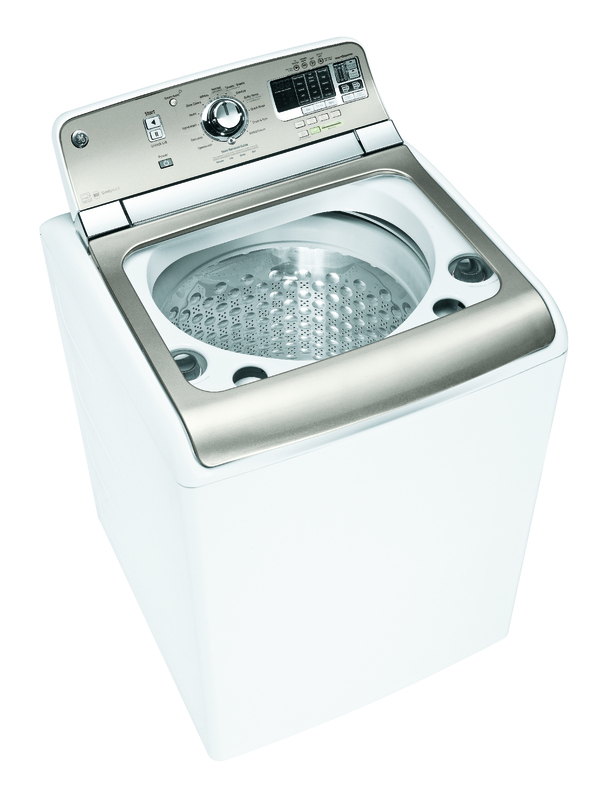 In fact, over the last couple of years, sales of HE topload washers, which sell in the higher price points of topload units, have increased, while sales of frontload washers have declined over the same period. 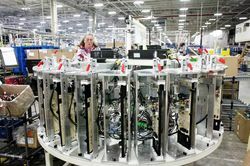 GE not only expects these new units to be a big plus for the company, but investing in manufacturing in Louisville is also boosting business for about 40 domestic suppliers, many of which are local or regional. For example, rather than absorb the cost of building a painting operation for these new washing machines, GE has engaged a local supplier that cannot only provide high-quality paint finishes but, because the supplier is local and has expertise in this area, can quickly react to changing color trends in the industry or accommodate a special order for a GE customer. 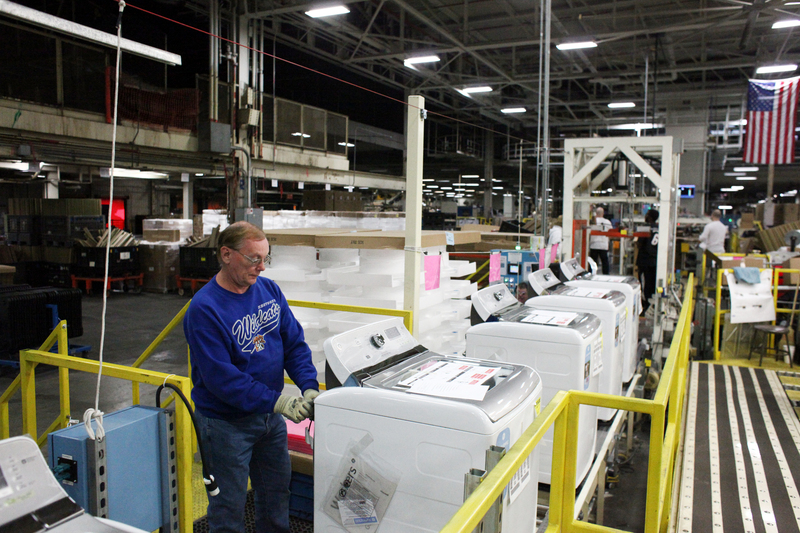 In August 2011, Revere Plastics Systems, LLC, opened a plastics operation in Southern Indiana to support not only the new topload washers but a couple other products at Appliance Park. 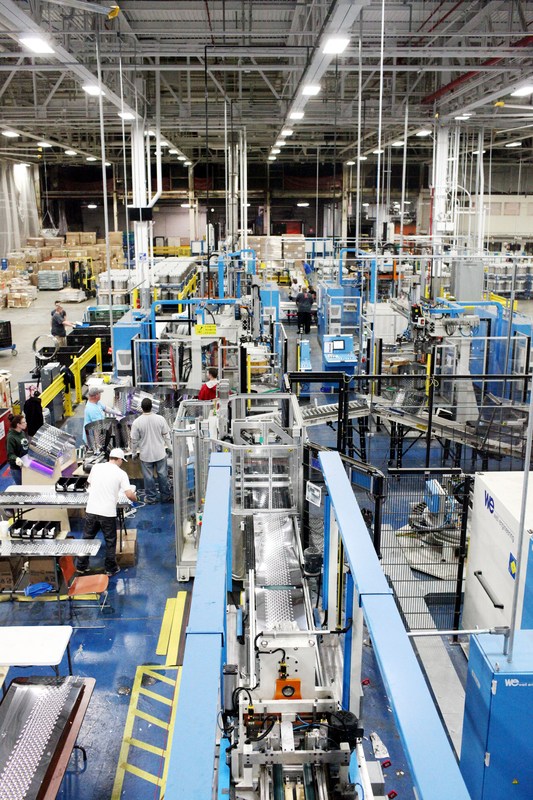 The new plant created about 190 jobs. 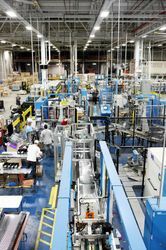 In February of this year, GE Appliances opened its GeoSpring™ hybrid water heater facility in Louisville, Ky., kicking off a $1 billion investment, $800 million of that at Appliance Park in Louisville, which GE plans to make by 2014 to upgrade all of its product lines and revitalize several facilities, such as the GeoSpring hybrid water heater, bottom-freezer refrigerator and frontload washing machine factories. 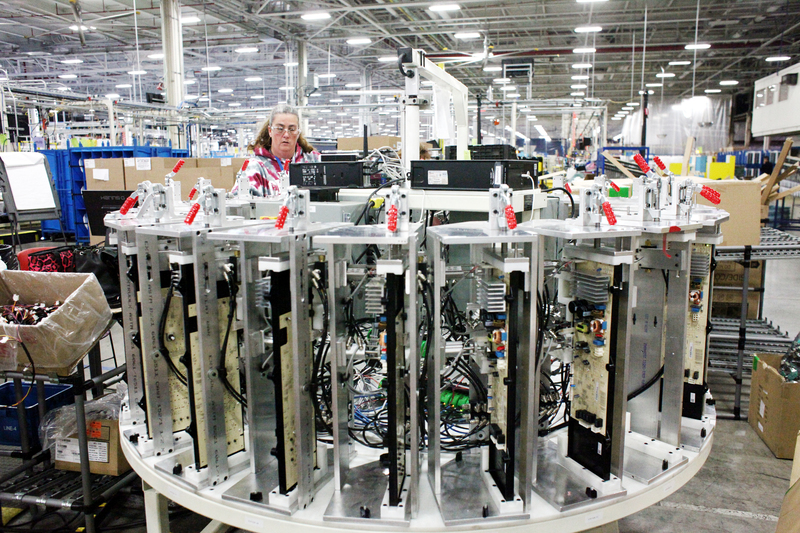 Since January of 2012, GE has hired about 1,500 production workers and has hired nearly 500 engineers. In addition to the hybrid water heaters and bottom-freezer refrigerators now being produced in Louisville, preparation is underway to open another plant to make frontload washing machines and matching dryers in early 2013. 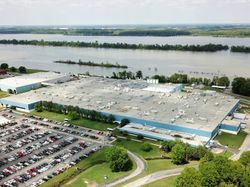 Extensive investment is being made in Louisville to enhance product offerings in topload washing machines and dishwashers. 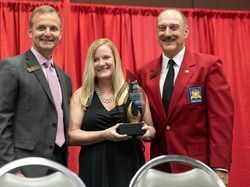 GE will also be making upgrades in side-by-side refrigerators made in Bloomington, Ind., top freezers made in Decatur, Ala., and cooking products made in Lafayette, Ga.
Denise Masterson, a first-shift operator at GE Appliances, works on the new topload washer at Appliance Park in Louisville. 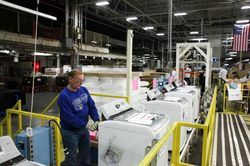 GE’s Louisville, Ky. washing machine factory that has been spinning out topload washers since 1953 has added another 150 U.S. jobs for the new topload washer. 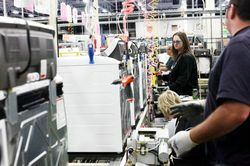 GE has started production of the most energy-efficient, feature-rich, topload washing machine in its history, which has added another 150 new U.S. jobs in the process.